I just returned from the World Humanitarian Summit  where issues of refuges and migrants were high on the world’s agenda. The official program included a roundtable on forced displacement, a special session on migration, and many related side events. But this was just the tip of the iceberg. 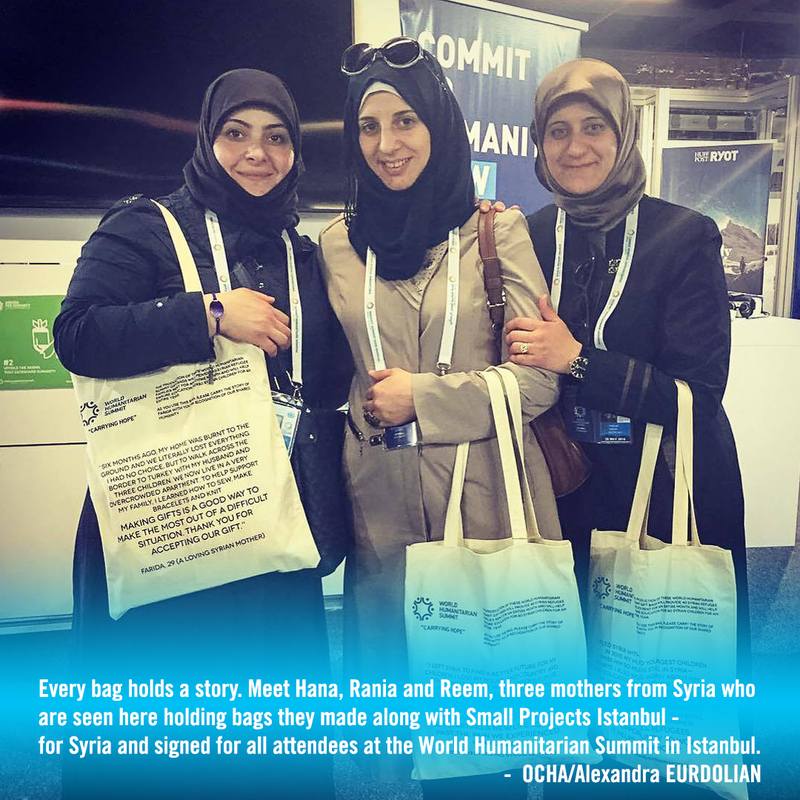 We received tote bags made by Syrian refugee women. Photos and videos of migrants and refugees were on constant display. When asked how many migrants were present in a particular session, most participants raised their hands. I’m glad to see that the issue is getting the attention it deserves -- and I hope that this attention will be translated into action. This is a burning issue for me. As a Special Adviser to the UN Secretary-General, I’ve been working since January with a small team to set the stage for the 19 September High-Level Plenary on Addressing Large Movements of Refugees and Migrants . This will be a historic occasion when governments will have the opportunity to strengthen our systems of international cooperation to address large movements of refugees and migrants. The 19 September meeting does not stand alone. It is part of an arc of high-level meetings over the past year and a half – Sendai , New York , Paris , London , Geneva  and now Istanbul. We have moved forward to strengthen our collective approaches for handling the challenges of disasters, climate change, sustainable development, Syrian refugees and, most recently, humanitarian response. These are all related. Disasters and climate change displace people. Migration contributes to global development. In order to address the reasons behind these large movements of people, we need to implement the commitments we have made before. In Istanbul I heard Bill Swing, Director-General of the International Organization for Migration , say that we are living in a time of escalating anti-migrant sentiment and declining public confidence in governments’ ability to manage migration. I heard Volker Turk, Assistant High Commissioner for Protection of UNHCR , make the case that now, more than ever, we need to protect asylum and at the same time, uphold the human rights of all of those who are on the move. I was gratified to hear that at least some of the participants in the World Humanitarian Summit had already read the Secretary-General’s report, In Safety and Dignity: Addressing Large Movements of Refugees and Migrants . I heard one government talk of the pathbreaking opportunity of developing a new Global Compact for Safe, Regular and Orderly Migration while another government pledged to actively participate in drafting a new Global Compact for Responsibility-Sharing for Refugees. The Secretary-General’s report lays out a number of bold recommendations to rescue and uphold the rights of all those seeking to cross borders. It calls for a global campaign to counter xenophobia and for the adoption of a new approach to share responsibility for large movements of refugees. It offers a vision of strengthened international governance of migration, including bringing IOM into the United Nations. It suggests a process for increasing the protection of migrants who don’t qualify as refugees but who have particular vulnerabilities. Under the leadership of the President of the General Assembly and the Ambassadors from Ireland and Jordan who are facilitating the process, the diplomats will be busy in New York negotiating the outcome document.